A private, members-only social club. 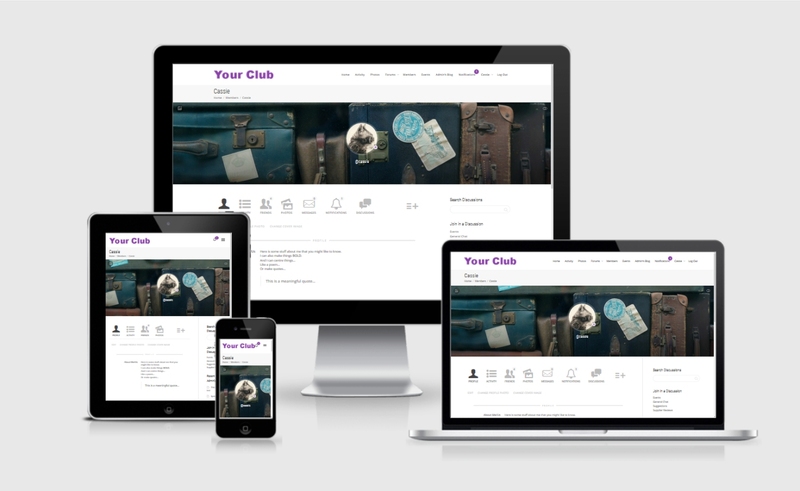 The client wanted a website which could accept membership payments from new and renewing members, allow members to sign up for events and also offer a “Facebook-like” area where users could create their own profiles and interract with each other ie. making friends, sending private messages, posting status updates, uploading their own photos etc. The client’s existing site was looking very dated, lacked many of the features required and was difficult to use on smaller mobile screens. The design I came up with was fresh and contemporary with a clean white background (much easier to read than the white text on black they’d had previously). As many of the members are not particularly technically-minded, it was also vitally important that the site should be as easy to use and this was achieved with, amongst other things, the use of user-friendly icons as well as helpful hints for trickier aspects such as updating profiles, and thorough user-testing to ensure that finding one’s way around the site was as intuitive as possible. On the technical side, the site needed to be able to accept and record credit card payments, as well as having a simple “admin dashboard” giving designated committee members access to view/edit membership data, event information and also act as moderators in the discussion groups. Privacy was important to the client and therefore built into the design to restrict access to non-members. Once signed-up members have access to the main activity feed (showing status updates from other users) and are able to create their own profiles, upload photos to their own albums for sharing with others, participate in group discussions etc. The site also features an “Admin’s blog” for sharing news etc, a members’ directory, photo galleries and event listings. For more thoughts about community websites generally, see also my recent blog post here – When is a website not (just) a website? This was a challenging but fun project and I’d love to create more websites along similar lines. If you run a club or business that could benefit from its own social network – think Facebook but with greater control, more privacy and the ability to add other features such as membership payments, event listings (and bookings), user photo albums etc. Why not contact me and let’s chat. Having Cassia construct our new web site was so easy. She made all our potential software options clear and concise which enabled us to make the right informed decisions. She delivered exactly what we wanted both efficiently and within the quoted time frame and budget. I would unhesitatingly recommend Cassia for new websites or for existing site upgrades.